Some law-enforcement officers don wetsuits and also search near where they found the body of a semi-pro football player who was friends with the Patriots' tight end. NORTH ATTLEBOROUGH, Mass. — Police are continuing to search the area near the home of New England Patriots tight end Aaron Hernandez, a week after his friend’s slain body was found about a mile away. 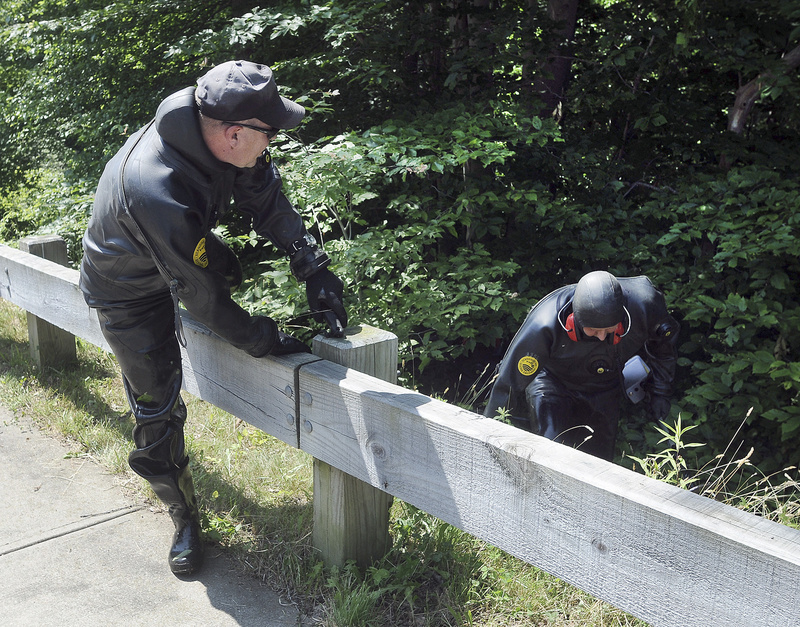 Some law enforcement officers wore wetsuits Monday while searching near both Hernandez’s home and the industrial park where Odin Lloyd’s body was discovered. Lloyd was a 27-year-old semi-pro football player for the Boston Bandits whose family has said he was dating the sister of Hernandez’s fiancee. They say the two men were friends and were out together on the last night of Lloyd’s life. An Attleboro District Court official said no new documents were available in connection with the case as of mid-morning Monday.